Lot of vintage old electrical selector switches for restoration parts. 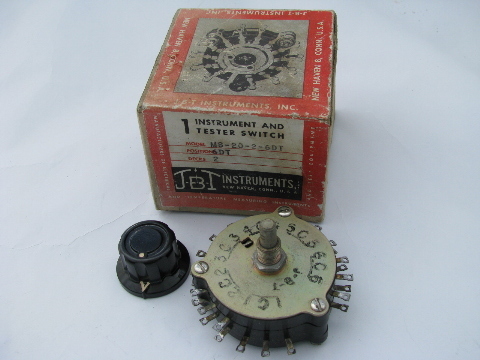 There are two J.B.T "Instrument and tester" switches. One is marked on the box as "MAS-14-1" with 14 positions and 1 deck. The switch is stamped "442912". 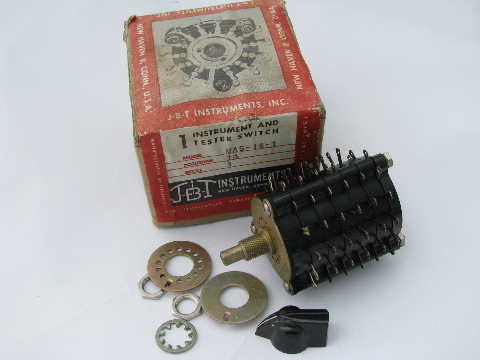 The other J-B-T switch is marked on the box as "MS-20-2-6D" with "6DT" positions and 2 decks. The switch is stamped "1C1 - 2C2 - 3C3 - 4C4 - 5C5 - 6C6". 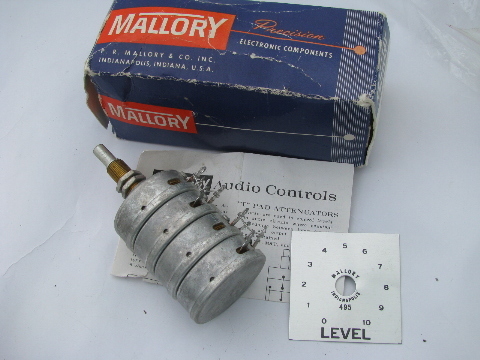 There is also a Mallory "LL16 - Dual Stereo L Pad 16 Ohm 15 Watt" switch with the original box. 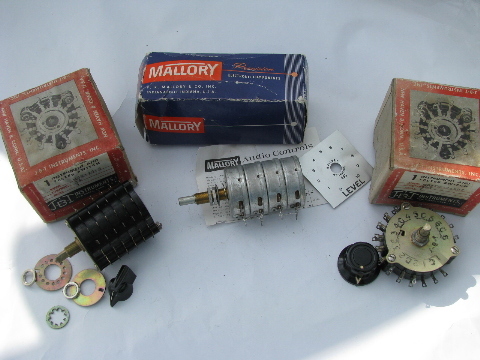 These switches are from the estate of an electrical engineer and short wave radio enthusiast. They have been removed� from a earlier installations and have not been tested. The boxes have wear and fading.